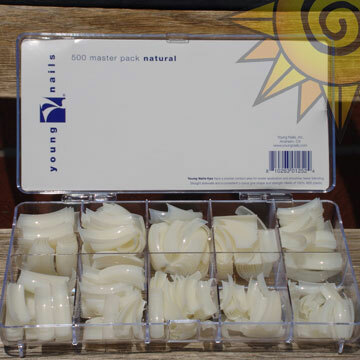 Click the button below to add the YN Tips 500ct Master Pack Natural to your wish list. Young Nails Tips have a precise contact area for easier application and smoother, faster blending. Straight sidewalls and a consistent C-curve give shape and strength. Made of 100% ABS plastic.